Paolo Vodopivec and his brother Walter began to produce and bottle the wine by themselves in late 90's. They cultivated new land by themselves - the soil of Carso(Friuli) is bedrock, then they crushed those bedrock and put them back to the ground - and they decided to focus on Vitovska grape only. Paolo Vodpivec describes the land of Carso "Harsh, unpleasant, difficult" and he believes Vitovska is the most suitable grape varietal there and it can express the terroir of Carso perfectly. Vineyards are managed naturally since beginning and never been poluted by any chemicals. His wine-making is characterized by - maceration in amphorae, long ageing in oak barrel and in the bottles - which is common among producers in Friuli. The wine possesses clear details, purity, depth and comfortably tensioned. Paolo Vodopivec could produce four different wines in 2011. This "Vitovska" is the representative workof Vodopivec which is made from grapes from different vineyards that naturally blended and integrated the characteristics of the land. 6 months of maceration in the amphora and 24 months of ageing in large slovenian oak barrel. No chemical added for all the processes of wine-making and bottled without filtration. Vitovska is the queen of the Carso, reigning over vineyards, rocky terrain and plots of red soil respectfully cultivated by people who love nature. On every single hectare of land situated at 260 metres above sea level, there are 10,500 native vine varieties cultivated as saplings so as to protect them from ‘Bora’ the wind, which often lashes the landscape. Each plant yields 500 grams of grapes, handpicked and collected in crates during the harvest. De-stemmed and crushed daily, the grapes ferment and macerate naturally, before being placed into a traditional winepress. Natural winemaking: no physicochemical stabilizers are used, no preservatives or enzymes are added. The wine is bottled without any filtration. Outside, the Carso is the land of truth. Harsh, unpleasant, difficult. In a word, true. Land of stone and wind, of Nature strong and vigorous. Land of the seasons with dreamy colours, of air terse and pungent. Inside, the Carso is in the wine-cellar. Stone-made, part of an ancient house, witness to the long history of this territory the wine-cellar is an angle of Nature protected jealously, An ecosystem creating the ideal conditions for Nature to find its dwelling-place. Exterior and interior possess a continuity. The vineyard is framed by the Carso, the grapevines grow amidst Nature. Even the wine-cellar is framed by the Carso, the wine matures in its environment. It is the principal element of a universe, which outside is a flow of energy, driven by the Bora wind blowing across the grapevine. And the wine breathes in the best air. The vineyard is the book of ancient knowledge that loves the land. No more. Each hectare of land grows ten thousand plants. Each plant gives one-half kilogram of grapes. Natures knows its own balance, man listens in order to comprehend the language of the earth. Rain waters the grapevines, no other irrigation is needed, because the earth requires hard work, attention and experience but it pays and the procedure is the product of natural imperfection; the hand of man must second this, not modify it. The grape which enters the wine-cellar is prepared by long, slow maceration, restoring little by little what Nature has created in time. What Nature has given to the vineyard, the grape now gives to the wine. The temperature is naturally constant. No filters or refrigeration is needed,as the wine is born in the most natural fashion and finds in the amphora its container par excellence, the fundamental element of wine-making. The wine is best expressed through storage in underground terra cotta, placed at a constant temperature for a period from five to seven months. It will then spend two years in large barrels, so as not to rush. This is a natural wait, like that of a mother for her child. It is the most beautiful of occasions, as our pleasure lies in knowing how to wait. History is not forgotten. Today's vineyard is heir to a farming family that has always been tied to the land. Our passion has its roots in the awareness of what it is. 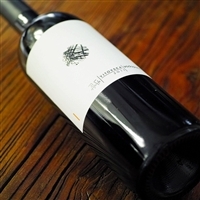 Today it produces one and only one wine – Vitovska, the wine of the Carso - rich historical heritage. There is but one way and it has already been indicated, the choice of following it is the most obvious. A choice of life tied to Nature, of listening to the land and its rhythms. Nothing must be forced, wisdom lies in knowing how to wait for the right time. This is the path of Nature, of respect for life. The wine is born in its microcosm and is the mirror of Nature. The Carso outside is discovered in the bottle.